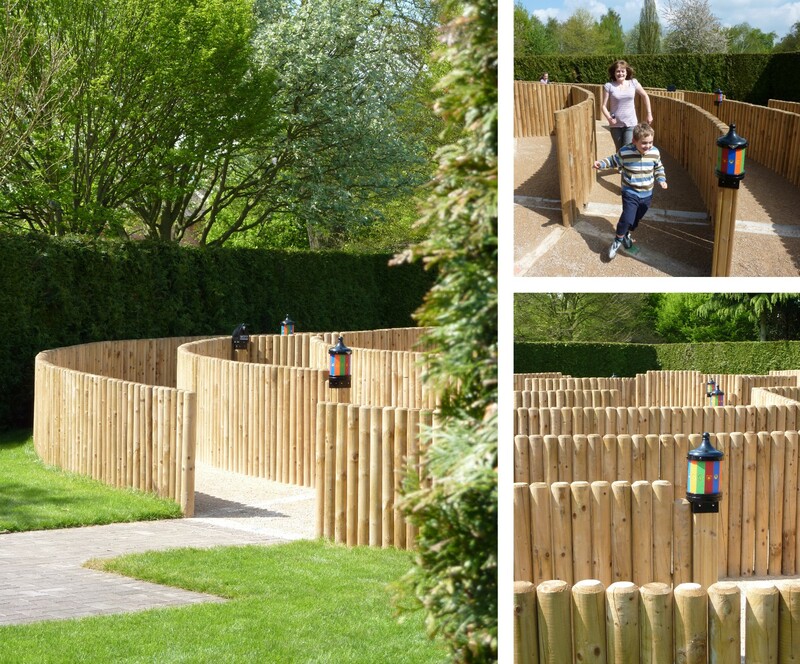 Mazescape have designed permanent mazes that use; Willow, Bamboo, Beech, Yew, Turf, Timber Panels, Wooden Posts, Trellis and Climbing Plants, Fabric, Rope, Hay & Straw Bales, Recycled Tyres, Adobe, Brick and Stone … to name a few. Mazescape have over forty years professional design experience across a range of design disciplines. We have designed permanent mazes that use; Willow, Bamboo, Beech, Yew, Turf, Timber Panels, Wooden Posts, Trellis and Climbing Plants, Fabric, Rope, Hay & Straw Bales, Recycled Tyres, Adobe, Brick and Stone. We have designed hundreds of mazes between us and always meet new design challenges with enthusiasm. If you have a specific material that you would like us to explore, please do call us to discuss. 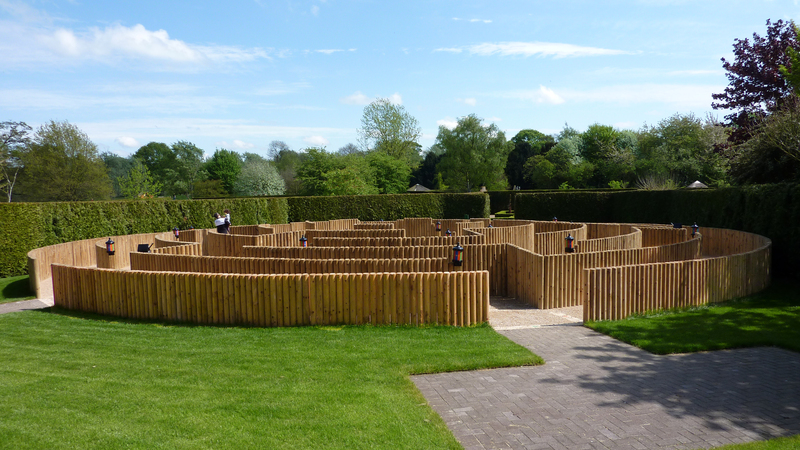 Initially we can design your maze to a conceptual level only giving you the time and confidence to get the concept right, prior to further planning and financial development. All our mazes are unique and designed to order. All our mazes are unique and designed to order, but we do create the world’s best maze designs! With our experience we are able to fine tune the design to meet all your needs. We keep clients abreast of the design development with regular updates and progress reports, thus ensuring a smooth transition from detailed design through to construction. We work closely with trusted partners during both the manufacturing and construction phases. Alternatively we can work with your preferred suppliers. Both Tom & Angus have a huge amount of experience gained through working on other projects prior to Mazescape. Below are a selection of projects on which we worked as Senior and Technical Designers. 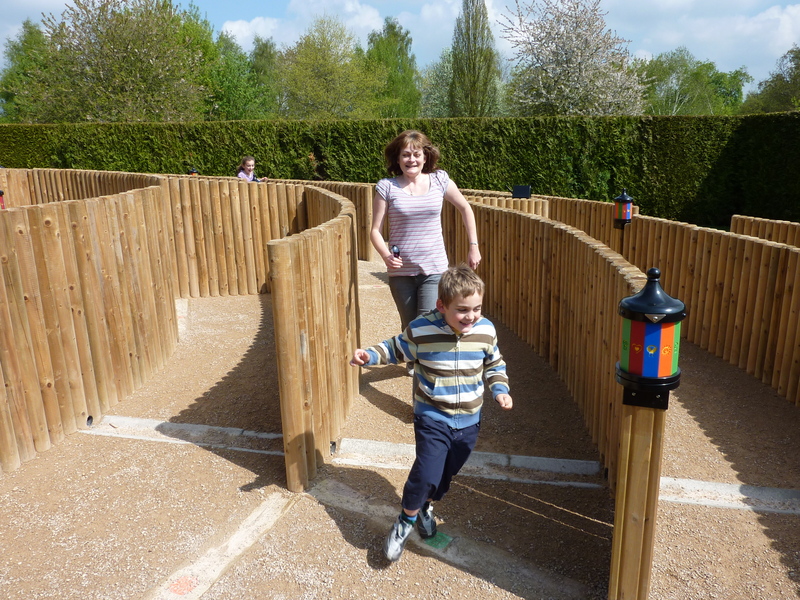 Dobbies Maze World – Atherstone, UK. Dobbies Garden World – Stirling, Scotland. Merlin Entertainments Group – Mirror Maze Development, Innovation, Installation and theme work undertaken at a number of sites across the UK and Europe. National Sea Life Centre in Birmingham, London, York, Edinburgh, Hamburg and Amsterdam Dungeons. Maze Tower, Dubai – A maze forms the facade of the 56 storey/210m high residential and commercial mixed use tower. The building is now finished and is surely the tallest maze in the world! Dobbies, Atherstone – A series of six interlinked mazes with a continental theme. Each maze being planted from native species of the continent they represent. Scotland’s longest maze based on a celtic design featured in the Book of Kells. One is a labyrinth planted in purple and white heather to form the pattern of a St Andrews cross. The second maze is a distinctive 700m long hedge maze based on historic patterns dating back centuries. Regeneration of a town centre space for the benefit of the local community incorporating landscaping an a series of paving maze puzzles featuring themes from aspects of local history. A large paving maze developed to compliment an architectural scheme for a residential property development, drawing inspiration from the design principles of the Arts and Crafts movement.